Tachi Palace Hotel and Casino in Lemoore, Calif.
Tachi Palace Fights returns with its 23rd event, celebrating Cinco de Mayo a couple days late. The card features a mix of prospects and veterans. 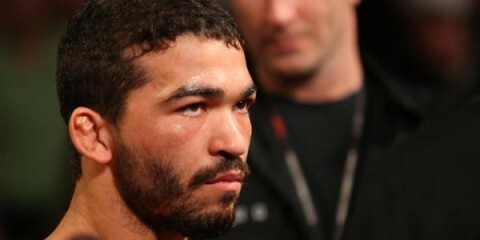 The biggest prospect in the lineup is headlining welterweight champion Max Griffin. Griffin puts his belt on the line against veteran Chidi Njokuani. Griffin is a former The Ultimate Fighter hopeful who just missed out on making the TUF house. His chance came in season 16, and it ended via submission in a sudden-victory round versus Matt Secor. Griffin holds a 56-second knockout victory over veteran Jaime Jara and tends to claim his wins via strikes. However, the 29-year-old also needed just 56 seconds to submit Richard Rigmaden via brabo choke. The Marinoble’s Martial Arts product has posted wins over the likes of Kito Andrews, Fernando Gonzalez, Waachiim Spiritwolf and Ricky Legere Jr. during his current six-fight winning streak. He’s also held titles in two different promotions during that span, and he’s won by almost every conceivable method, be it a split verdict, unanimous decision, submission or knockout. Griffin, who has never been stopped in a fight, has four wins by some form of knockout and two submission finishes. 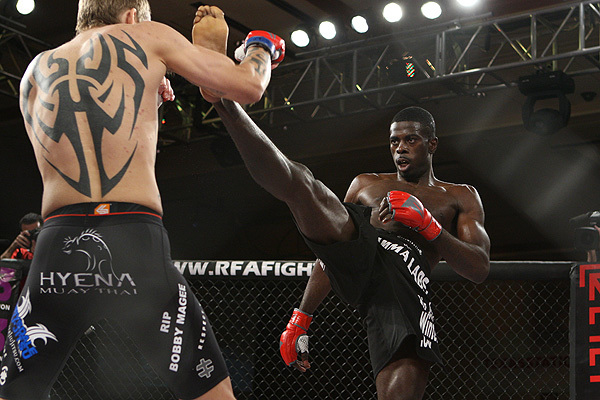 Chidi Njokuani is the brother of UFC veteran Anthony Njokuani. Chidi has made appearances under the RFA and Legacy FC banners, but he’s never taken the next big step to the UFC or Bellator. The younger of the Njokuani brothers, Chidi is just as much of a formidable striker as his brother, but with more size packed on. The 26-year-old has finished eight fights by some form of knockout. He also has one submission stoppage. 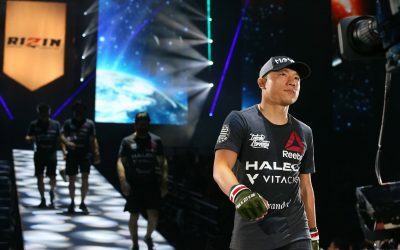 He has suffered losses to UFC veterans Brandon Thatch and Jorge Lopez and Bellator vet Jeremy Kimball, but he has posted victories over such notables as UFC veterans Alan Jouban and Gilbert Smith. Both men are powerful strikers, but Griffin has several advantages over his more well-known opponent. First, there’s the chin. Griffin suffered his only loss via decision, whereas Njokuani has been stopped by strikes twice in the first round. Second, there’s the ground game. Griffin may be a striker first and foremost, but he has been very effective with submissions when the opportunity arises. Njokuani doesn’t have a lot to offer on the mat and could fall victim to a tapout, as he has done against Warren Thompson and the aforementioned Kimball. Griffin has overwhelmed the likes of Legere Jr. and Jara with strikes, but tough fighters like Spiritwolf were able to force Griffin to go the distance. And Griffin has a bad habit of letting his opponents keep fights close. Gonzalez pushed Griffin for five rounds and only lost via a split verdict. Njokuani could follow suit, but his chin and iffy ground game leave Njokuani fighting an uphill battle. Griffin is going to give up a few inches in reach, but he is the more well-rounded fighter and can use his ground game if his striking attack is stifled. Griffin might struggle to find a finish, but he should post another judges’ nod to his record. Horseshoe Tunica Resort and Casino in Robinsonville, Miss. AXS TV has been the broadcast outlet for some of the biggest developmental and regional promotions out there. Now, the network has paired two of the biggest of those entities for one supercard event. The Resurrection Fighting Alliance and Legacy Fighting Championship come together for what certainly qualifies as one of the biggest cards ever to air on AXS TV. RFA bantamweight champion Luke Sanders will defend his title against Terrion Ware, and Mike Bronzoulis and Dave Burrow will vie for the vacant Legacy lightweight crown. However, the real showdown comes when each promotion sends a titleholder to the cage for a champion-vs-champion showdown. UFC veteran and flyweight kingpin Damacio Page represents Legacy FC against RFA representative and 125-pound champ Alexandre Pantoja. The 32-year-old Page stands as the more recognizable name in this clash. 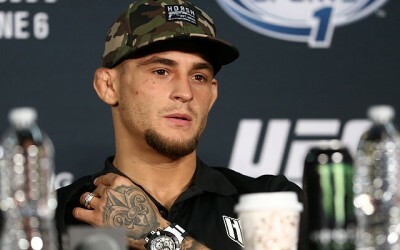 The Jackson’s MMA fighter rose to prominence as a bantamweight competing under the WEC banner. 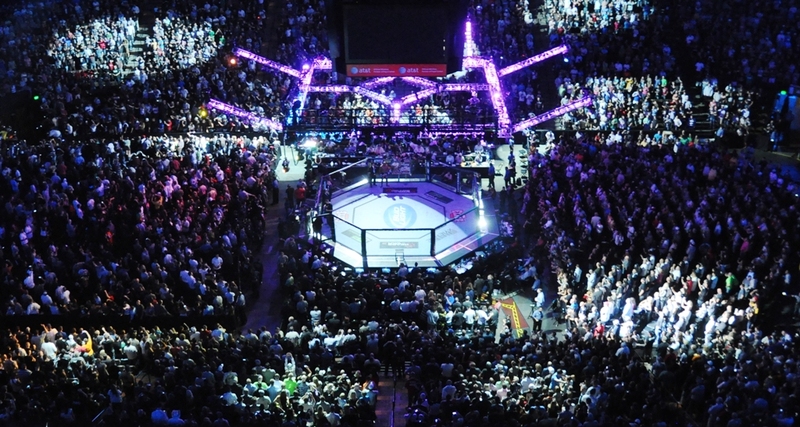 He went 3-2 on the blue mat before the UFC absorbed the WEC and brought Page to the Octagon. In three outings inside the UFC, Page came up empty, suffering submission losses to Brian Bowles, Brad Pickett and Alex Caceres. He was jettisoned from the big show and landed in Legacy, where he picked up a win. After a trip to Europe for a Strength and Honor Championship show where Page dropped his fight via split decision to Marcelo Costa, the UFC veteran returned to Legacy to win a catchweight bout at 130 pounds and then successfully captured and defended the flyweight strap over the course of his next two bouts. Page has struggled to fend off submissions throughout his career — they account for a whopping seven of his nine losses — but he can be lethal when he’s firing on all cylinders, as evidenced by his 11 wins by some form of knockout and seven submission finishes. Pantoja, a Brazilian fighting out of the famed Nova Uniao camp, captured his RFA flyweight crown when he stepped in to replace Page’s Jackson’s MMA teammate Joby Sanchez and defeated Matt Manzanares. The 25-year-old has never been stopped, and one of his decision losses came via a split verdict. Pantoja, who debuted in 2007 shortly after he turned 17, won seven of his first eight fights. His second loss came against current UFC flyweight contender Jussier “Formiga” da Silva. 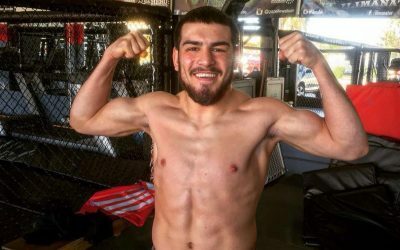 He has bounced back with eight straight wins, including two unanimous decision victories over Lincoln de Sa and the second-round submission of Manzanares. The 17-fight veteran has six wins by some form of knockout and five via submission. He combines a strong Muay Thai skill set with an excellent ground game, but his gas tank has been called into question in the past. This has all the makings of an excellent headlining affair for such a significant card. Page has been a beast in his two flyweight outings. 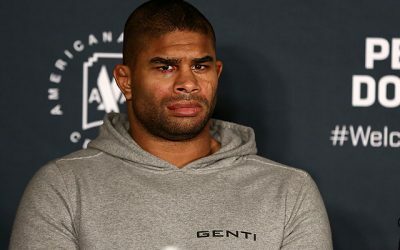 He’s determined to make it back to the UFC, and the UFC’s current lack of viable contenders for champion Demetrious Johnson only boosts Page’s chances of a call-up if he wins. Page, who suffered one of his WEC losses to Johnson, can’t overlook Pantoja though. The Brazilian has been on a roll, and he has experience against other top flyweights over the course of an extensive pro career. Pantoja has an excellent ground game to accompany his Muay Thai attack. He demonstrated his grappling prowess by choking Manzanares into submission to capture the RFA crown, and he provides a very dangerous opponent for someone as prone to submissions as Page can be. 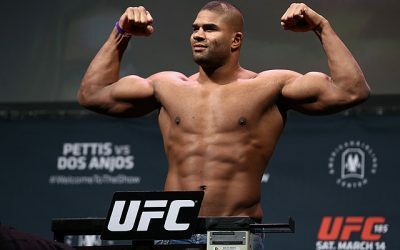 The UFC veteran, meanwhile, has displayed increased effectiveness with his power after dropping to 125 pounds. He certainly has what it takes to be the first man to finish Pantoja, but he’ll have to stay upright if he wants to emerge with his hand raised. The potential exists for an all-out brawl in this affair. Page’s aggression has cost him in plenty of his submission defeats, but it has also led to quite a few of his victories. Now, he’s paired with a Muay Thai practitioner who tends to set up for one punch, then lunge in with follow-up barrages. If Page can time the counter, he could make Pantoja pay for moving forward. However, Pantoja could opt to avoid the danger of engaging Page on the feet and choose to drag this fight to the canvas, where he should easily dominate Page. For all of Page’s momentum and his effectiveness at 125 pounds, he’s rarely ever won the big fight. This fight holds huge stakes for the Jackson’s MMA product. Pantoja is quickly turning into Nova Uniao’s solution to adding flyweight to its list of conquered divisions. The Brazilian’s ground game is the difference in this fight, and it’ll prove to be Page’s worst nightmare. Pantoja will hand Page a setback via an early submission finish. Borgata Hotel, Casino and Spa in Atlantic City, N.J. While one Cage Fury Fighting Championships standout — Jonavin Webb — makes his UFC debut halfway around the globe in Australia this weekend, CFFC returns to its usual stomping grounds of New Jersey with a lineup that features a battle for the welterweight title Webb left behind. However, it’s another title fight on the card that features a fighter poised to follow in Webb’s footsteps and make the jump to the Octagon. That fighter is CFFC bantamweight titleholder Jimmie Rivera. 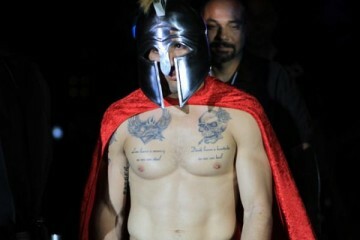 Rivera is set to defend his title against Carson Beebe on Saturday night. 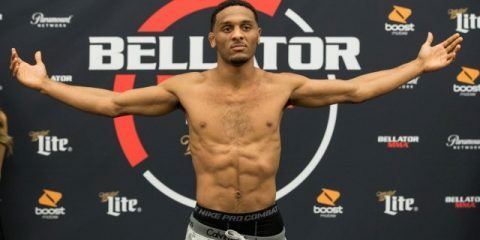 Rivera, whose Team Tiger Schulmann teammate Lyman Good battles Nah-Shon Burreell for the vacant welterweight strap, has been a decision machine thus far in his 16-fight pro career. 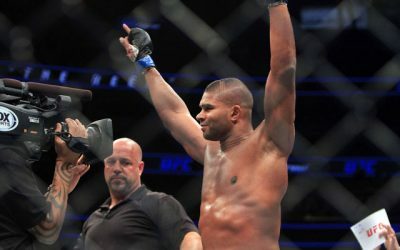 “El Terror” has just two wins via strikes and two by way of submission, leaving his other 11 victories in the hands of the judges. His lone defeat, against Jason McLean in Rivera’s second pro outing, also landed on the scorecards and resulted in a close split verdict. 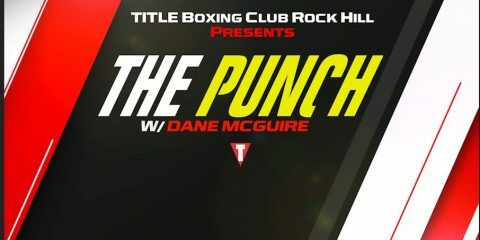 The 25-year-old has held and defended the Ring of Combat bantamweight title, and he claimed the vacant CFFC crown with a third-round TKO of Anthony Durnell in his most recent outing. 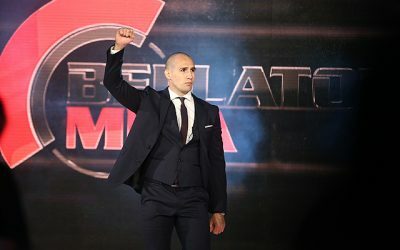 Rivera has four wins in the Bellator cage and a victory in the World Series of Fighting organization, but he has yet to establish permanent residence in a national promotion. 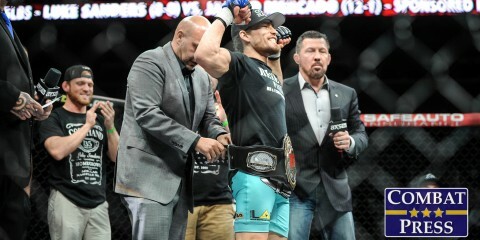 Rivera appeared on The Ultimate Fighter 16, but he was quickly eliminated via TKO by Dennis Bermudez. Beebe appeared on the same season of TUF and, like Rivera, took a quick exit when he lost to Johnny Bedford in a fight to make it into the TUF house. Carson is the younger brother of former WEC bantamweight champion Chase Beebe. Carson, like his brother, is a strong wrestler and grappler. The 26-year-old has been fighting professionally since 2010 and has tallied the same number of wins as Rivera, but has suffered more losses. The Gilbert Grappling product has a decision-heavy record, too, with seven wins and one loss on the scorecards. He has notched five submission wins and three TKO victories, making him the more effective finisher. His other losses have been quick ones: a 52-second submission at the hands of Giovanni Moljo and a recent 32-second knockout courtesy of Marlon Moraes. 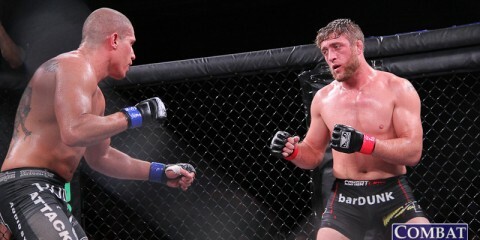 Beebe’s closest brush with the big show came in a two-fight stint with the WSOF, where he defeated Joe Murphy and suffered the loss to Moraes. Rivera isn’t a quick finisher — or a finisher much at all — so Beebe will likely have a full five rounds to figure out the champ’s game and try to put him away. Rivera will surrender a couple of inches in reach and a few inches in height to the challenger, but Beebe isn’t likely to sit on the outside and strike with Rivera. Beebe’s game plan will likely involve takedowns and ground dominance. However, Rivera is a strong wrestler and will have similar goals in mind. If the fight does go to the ground, it could turn into a grinding affair. The difference, however, could come in Rivera’s hands. The champion might not score many finishes, but he does pack a powerful punch and could wing in some damaging shots against Beebe, whose chin didn’t hold up well against Moraes. As tempting as it is to envision a big Rivera finish, the more likely outcome of this contest involves five rounds of grueling wrestling, top control and submission attempts. Rivera has looked very good throughout his career, and he’ll add another big name to his list of victims by edging Beebe on the scorecards.